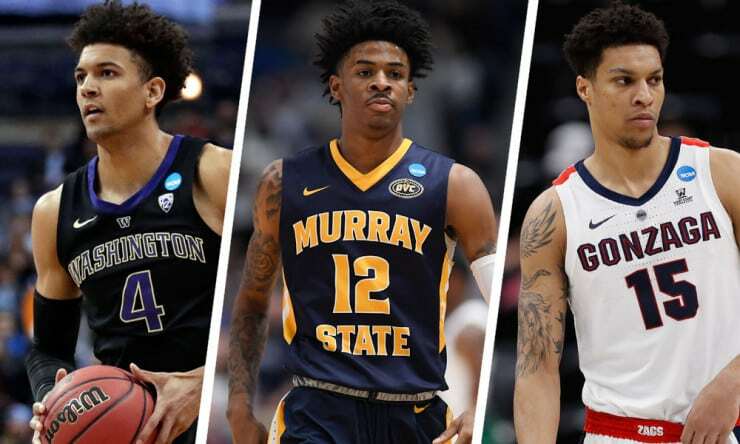 Each week, four of Basketball Insiders’ top writers will break down the 2015 NBA Draft, including a revised Mock Draft based on the latest information. 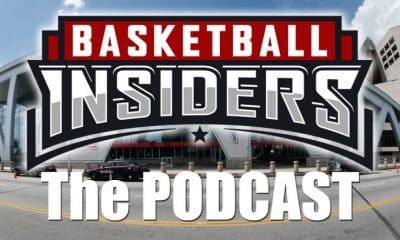 Each week, four of Basketball Insiders’ top writers will break down the latest news and notes surrounding the 2015 NBA Draft. Included is a revised Mock Draft that reflects how each writer sees the draft landscape based on the latest news, workouts and information from in and around the process. 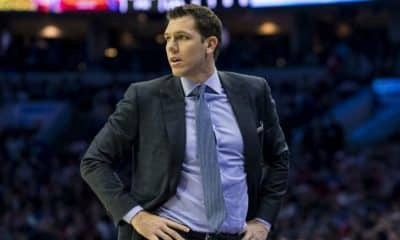 As much as the roster they fielded on some nights indicated otherwise, the Los Angeles Lakers truly were opposed to tanking this season. They were just ridden with bad luck with injuries, and never had great upside to begin with. 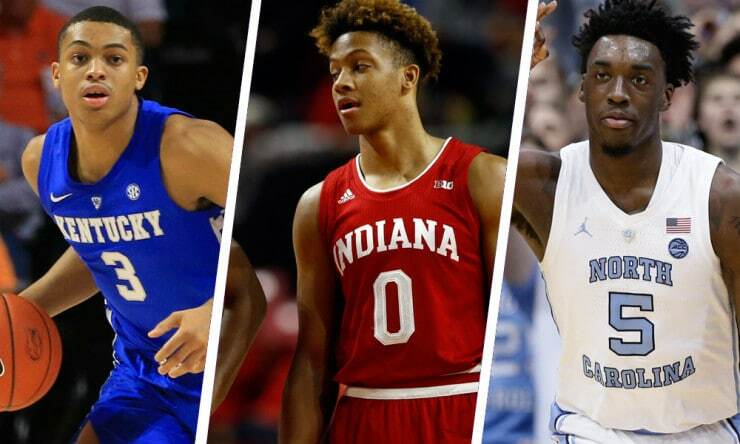 That puts them in the nerve-wrecking fourth position as their pick is headed to Philadelphia if it’s outside the top five and there’s a perceived drop off in talent after the top four players – Jahlil Okafor, Karl-Anthony Towns, Emmanuel Mudiay and D’Angelo Russell – come off the board. However, in this week’s version I have them going with Justise Winslow, assuming they end up where they’re projected at because as much as there’s a need for a young, dynamic ball handler in the backcourt like Mudiay, the Lakers seem to have the leg up on Rajon Rondo in free agency. Goran Dragic appears to be available too, and point guard isn’t the only glaring hole for the Lakers. 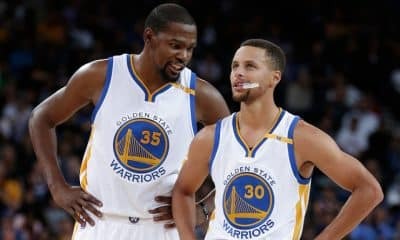 Small forward is a major need as well. 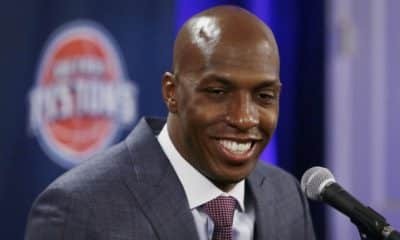 They replaced a potential long-term solution in Trevor Ariza years ago with a short-term fix in Ron Artest, but their faith in Wes Johnson to take over the position in his departure turned out to be misplaced. Despite all his God given talent, reportedly strong work ethic and flashes of brilliance, he was a bust in the purple and gold as well. Winslow may have similar offensive limitations as Johnson. He’s not great off of the dribble, and his jumper comes and goes, but the difference between the two is Winslow’s approach and demeanor. He’s going to come in with an aggressiveness and disdain of losing that will impress even Kobe Bryant. 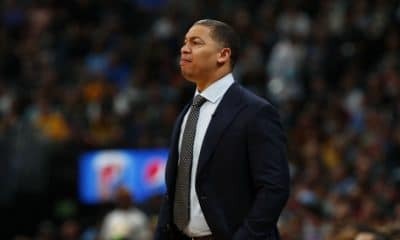 He’ll guard multiple positions every night, gradually improve offensively and eventually become the long-term solution the Lakers are looking for at the position. Building through the draft isn’t ideal for the Lakers; they want to build through free agency. 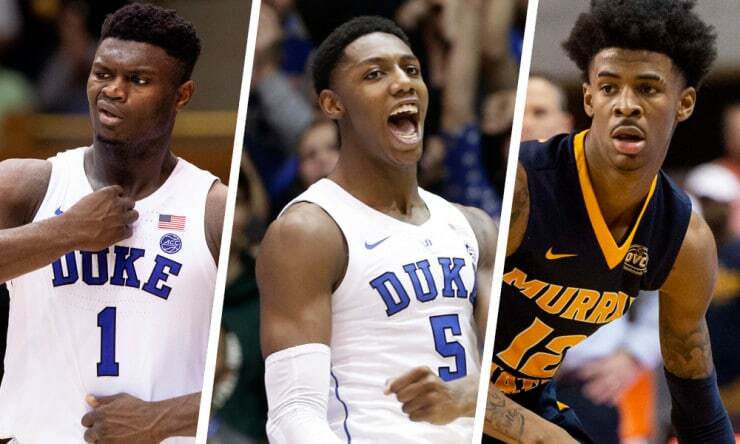 But even as a rookie, Winslow will fit in nicely on a veteran squad. The perennial winner is mature, ready to contribute from day one and eager to fight for the only title missing from his trophy case. It’s easy to be wary about the international prospects, mostly because the majority of fans haven’t seen much of them, but that doesn’t mean they’ll be disappointing for the fans of teams drafting them. 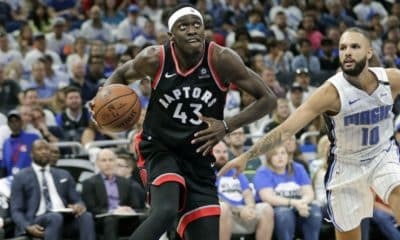 While it’s true that Dario Saric was one such lottery pick a year ago who will continue playing overseas for a few more years, the two international guys slotted for top-10 consideration – Mario Hezonja and Kristaps Porzingis – are definitely worthy of whatever lottery pick will be used to nab them. Like Saric, Hezonja is Croatian (the two actually played together on the Croatian national team), and he looks like one of the more talented swingmen in the class. 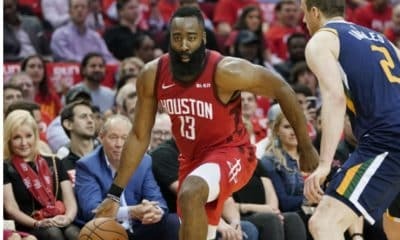 He’s a strong, athletic shooting guard who can knock down threes and score in bunches, and obviously those are skills that translate well to the NBA game. The only issues with him are a questionable attitude and that he doesn’t have a ton of experience playing at a high professional level. His minutes with FC Barcelona have been spotty, but when he has played big minutes he typically has done pretty well. 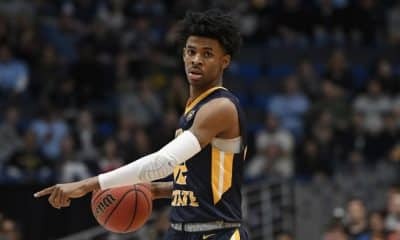 With his athleticism and range, he should fit in well with an NBA rotation, even if he may take a season or two to properly marinate. As for Porzingis, he’s the lanky seven-footer from Latvia who pulled out of the 2014 NBA Draft just 10 days before the event, even though he reportedly had lottery teams interested in his services. He’s agile and fast, and he sports a mid-range shooting ability that will make him tough for opposing NBA fours to guard. Even better, he actually improved as the season went on and peaked in Eurocup play, where he averaged 11.6 PPG and shot 46 percent from deep. Yes, he’s one of those “stretch fours” that NBA scouts love. He absolutely can hit down the occasional three. This week, I have Hezonja going to Sacramento to give them some more consistent three-point shooting, and I have Porzingis falling in with the HEAT because he’s the most talented player I see hovering around that spot and he fills a need for them in the frontcourt. Both guys are talented, but not as much as the top five on the board. After that, though, they’re just as solid as anybody in that second tier. Both should fall in 5-10 range if projections hold up. The Jahlil Okafor vs. Karl-Anthony Towns debate is very interesting. In talking to people around the NBA, some people are adamantly pro-Okafor while others are adamantly pro-Towns. However, in my opinion, Okafor is the better prospect and more of a sure thing than Towns. We haven’t seen many 19-year-olds like Okafor. His post moves, footwork, basketball IQ, efficiency and passing ability are extremely rare in a freshman seven-footer. Most big men are raw when they start their NBA career, but Okafor will enter the league as one of the best scoring big men prospects we’ve seen in years. One reason why Okafor is years ahead of most 19-year-old big men is because, at 14 years old, he started studying film of big men like Hakeem Olajuwon, Tim Duncan, Kareem Abdul-Jabbar and Patrick Ewing and doing drills to improve his footwork. He has been working toward this and going through sessions with a trainer before he could even get a driver’s permit. As a result, Okafor was virtually unstoppable in the post at the college level. He led Duke to the championship, and averaged 17.3 points, 8.5 rebounds and 1.4 blocks while shooting a ridiculous 66.4 percent from the field. Okafor shot above 70 percent from the field in 20 games during his freshman season. He seems poised to be one of the best offensive big men in the NBA in a few years. 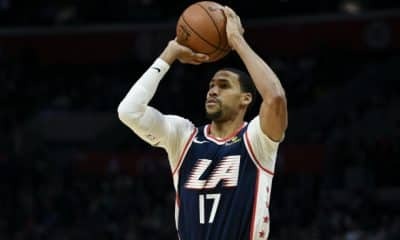 There have been questions about Okafor’s defense and it’s true that he needs to improve on that end. However, he’s extremely young and he should make strides on that end in time, especially with his excellent work ethic. 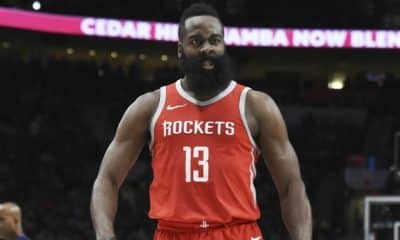 And even if his defensive improvement is minimal, his offense is so far ahead of where most big men are at this point that he projects to be a very productive NBA player anyway. His floor is basically Al Jefferson and, if he becomes a two-way threat, his ceiling is an all-time great. NBA executives and players (including David Robinson) have already compared him to a young Duncan. Duncan has even said that Okafor is ahead of where he was at 19 years old. It’s worth noting that there are concerns with Towns too. Because Okafor dominated for much of the year, people started to look for negatives in his game (as is often the case with players who seem like a lock to be the No. 1 pick). But looking at Towns, his sample size is smaller since he played fewer minutes and he didn’t get the chance to show that he can be a No. 1 option over a full season like Okafor did. Also, Towns had some issues with fouling that kept him off the court. He averaged 2.9 fouls in 21.1 minutes, and fouled out in six games this year (more than all of his Kentucky teammates combined). By comparison, Okafor didn’t foul out of single game this year and averaged just 2.1 fouls despite playing 10 more minutes per game than Towns. Will Towns have even more issues with fouling in the league once he is facing NBA-caliber big men and playing significantly more minutes? The point I’m making is that neither player is perfect, and both have things they need to improve. 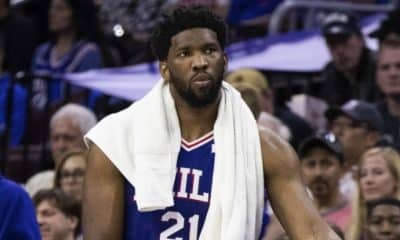 It just seems like Okafor’s mistakes have been under the microscope more than others’. The lottery results will obviously impact the Okafor vs. Towns debate, but just looking at their talent alone, I would go with Okafor. I think he has the potential to be a very special, franchise-changing player. If put in the right situation, he could be dominant for years to come. 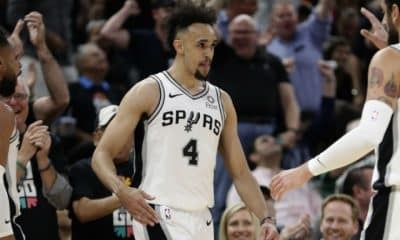 Last year, Utah Jazz point guard Dante Exum was dubbed the International Man of Mystery, with a hat tip to the movie character Austin Powers, but playing on the fact that so few people had seen him play. This year, that title seems to have shifted to Emmanuel Mudiay, mainly because while he did play in China, and there was ample game film, so few domestic fans actually saw him play. Mudiay has been training in L.A. for several months and is weighing the merits of taking part in the annual NBA Draft Combine next week in Chicago. Sources close to the situation said recently that Mudiay wants to take part in the Combine, but his brother who played a huge role in his life is graduating from college and he very much wants to be there for him. 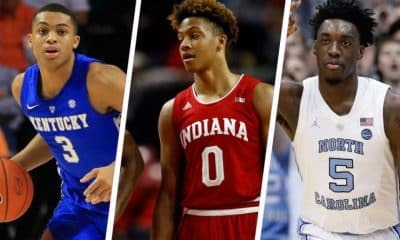 A number of teams have already reached out to Mudiay and are trying to schedule individual workouts with him, so his camp already has a pretty good sense of where Mudiay stands in the grand scheme of the draft and, for now, seems to be pretty comfortable with where he could be drafted. Most agents and insiders will tell you the key to the draft is understanding your “floor” – that team you won’t get past – and it seems Mudiay may already have that in place or at least enough of a sense of that to forgo the Combine. One of the other comments from sources was how serious Mudiay is as a person. 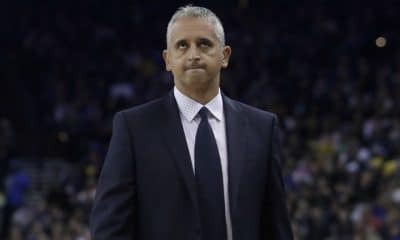 His inner circle has been trying to get him to lighten up and have some fun; however, the joke was that every time they try and get him to do something social he declines, opting to watch basketball games and vintage highlights or hangs out around his apartment. Mudiay is said to be in incredible shape, and is eager to get into workouts for teams. All of that is great in the context of information, but until Mudiay shows it somewhere, he’s still going to be doubted as the guy with something to prove. But if the sources close to him are even half right, he could be the first point guard off the board. Who are these guys anyway? 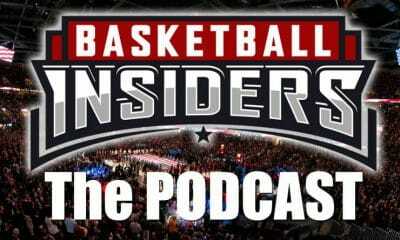 Steve Kyler is the Managing Editor and Publisher of Basketball Insiders and has covered the NBA for the last 17 seasons. 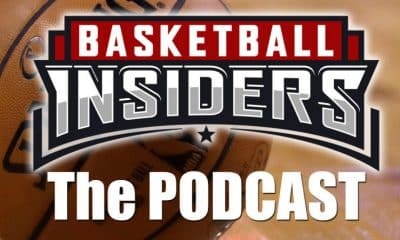 Alex Kennedy is a Senior NBA Writer and Editor for Basketball Insiders and has covered the NBA for the last seven years. Yannis Koutroupis is a Senior Writer and NCAA Editor for Basketball Insiders and has covered basketball for the last nine years. Joel Brigham is a Senior NBA Writer and has covered the NBA for the last 10 years. NBA PM: What Went Wrong With Bulls, Thibodeau?